Holidays are almost here! Are you as excited as I am to go home and spend time with family and friends? However the holiday times always brings some health problems, which can make us everything from uncomfortable to really sick. 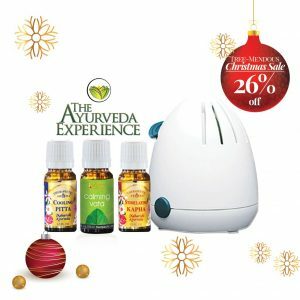 In this article I have collected some great Ayurvedic medicine remedies for the holiday season! We have all been there! The whole year we have missed our families and looked forward of either going home for the holidays or having our loved ones who live away from home visiting us! We arrive happy and everything is great, until we get sick! That’s right, most of us get sick one way or an other during the holidays. I have collected here the most common reasons why this happens. Following are my advice on how to avoid these issues and also a collection of my recommended home remedies, so you can actually enjoy your time without pains and discomforts! During the holidays we tend to eat way too much. It’s perfectly natural! We are gathering together with our families and friends, good food is simply a must! Some of us have missed the home cooking as we are too busy to cook fresh everyday or we have moved to an other country or state and grave for the traditional delicacies of our youth! We tend to eat much more than normally without even really paying attention to it, since the festive food tastes great, it’s readily available and eating together with beloved ones is a social activity. In any case it’s the holidays, so our diet is likely to consist of foods, which are different than our normal diet. The holiday foods typically contain more fat and their sugar content is higher, both with cause all sorts of problems with the digestion! Many of the herbs and other methods I have mentioned in my article have multiple uses. Makes sure the read everything to evaluate with will suite your best! Heart burn and bloating are one of the most common problems following over eating, together with irritants such as garlic, coffee and citrus fruits! Both make us feel rather uncomfortable and agitated, besides it can cause embarrassing side effects such as letting out wind and burping, which are not exactly sought after in social situation. My number one home remedy is the humble, often overlooked herb Mint. I actually grow this wonderful herb in my own garden and use it in everything from teas, to flavoring food. Besides, chewing it gives one a fresh breath! You can use mint in many different ways to relief heart burn. It’s available in extract, dried and fresh. There are different uses for all of them. Fresh Mint- Use together with carbonated water, for best effect, let it stand several hours. Dried Mint – Use for making a strong tea to drink after a rich meal of over eating to prevent the problem. 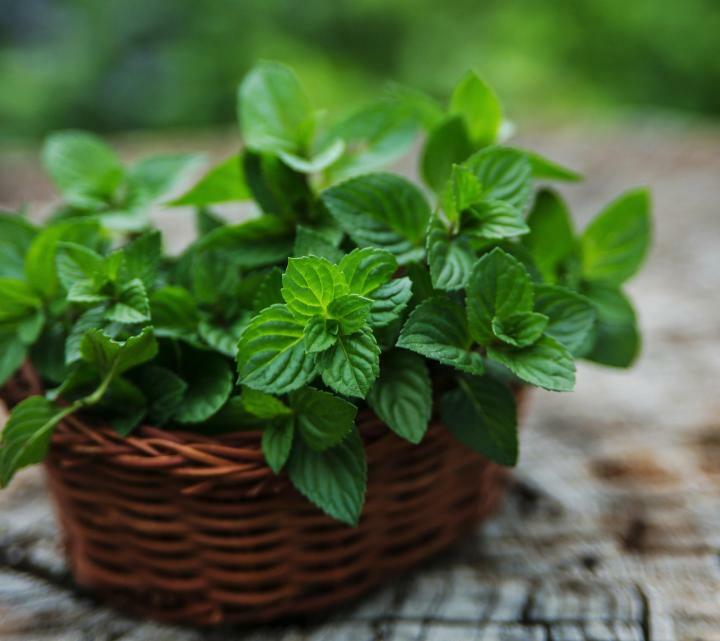 Mint Extract – Use couple of drops on the tongue to relief acute wind problems. 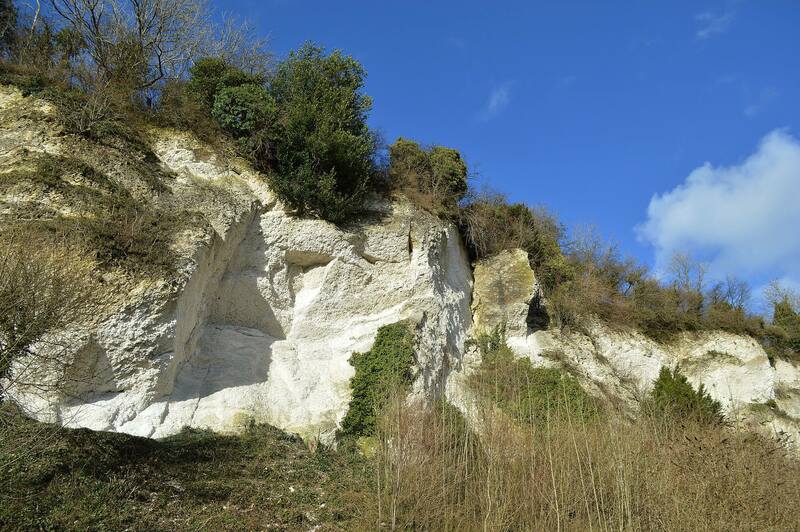 Natural chalk is a wonderful remedy for heartburn. 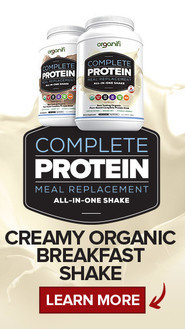 It’s available in both powder and tablet form. It can be used either before or after meal to prevent problems. HOT TIP! Mix mint drops with chalk powder and form your own heartburn tablets for double effect! Upset tummy is often caused besides food allergies and food poisoning, a stress associating with traveling, arranging parties and preparing the festive meals. The most common tummy problems are constipation and diarrhea. Constipation is cause by the digestive track getting blocked due to lack of hydration and excessive consumption of protein. It causes indigestion, followed by great discomfort and is sometimes accompanied with flow through diarrhea. There are several Ayurvedic remedies in tablet form to treat constipations, however when on the road, you might not be able to get your hands on those. Here are my top home remedies to relief constipation. Olive oil has many great health benefits. It’s also commonly used for cooking in the Mediterranean and Middle Eastern kitchens. Cold pressed extra virgin oil is not heated in the process of producing it and contains even more great health promoting ingredients. Olive oil fats are 75% mono-unsaturated, omega-9 fatty acids. It has a balancing efffect on the total cholesterol, LDL cholesterol, and HDL cholesterol in the body. It is also known to help to balance blood sugar, fight osteoporosis, reduce the risk of Alzheimer’s, kill cancer cells and help to maintain a healthy digestive track. 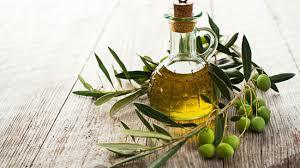 Olive oil helps quickly in terms of getting the internal blockage moving! For the best effect, use a teaspoon on some warm water. Repeat ever hour until the symptoms are relieved. Ginger is a very popular spice for cooking, but it also have powerful medicinal properties! Gingerol, it’s bioactive active compound, is both anti-inflammatory and has plenty of antioxidants. Ginger is commonly used in traditional medicine for treating colds, nausea, osteoarthritis, pains, regulation of blood sugar, cholesterol and even cancer! It is especially well known for it’s calming effects on the digestive system due to it’s ability to fight infections. It is also great for relieving constipation. Ginger is available both in fresh an powder format. 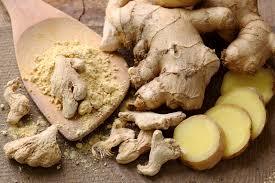 While powder is conveniently used for food, I prefer to use fresh ginger for both cooking and home remedies! Yes, you read it right. Just drink plenty of water, cold or warm. Make tea and enjoy it! Make sure you get plenty of fluids. Exercise will also help to get things going. Diarrhea or loose stools, diarrhea occurs when the digestive fire is weakened, usually by excess pitta. This can caused by several bacterias and viruses, but also induced by stress! Besides being extremely inconvenient and painful, especially when travellng, it can also be very dangerous for young children and elders, as it can quickly dry out your body! Charcoal is a really great remedy for diarrhea, especially if it’s caused by food poisoning as it absorbs toxins quickly. It also works great for relieving heartburn. Charcoal available both in powder form and as tablets or capsures, which you either mix with water or swallow. It is also available in so called activated form, but I prefer to stick to the natural variety. Please unsure that you are consuming coal produce by burning real untreated wood and not mineral or wood briquette coal. Neither is healthy to consure! Apples are one of the most commonly eaten fruits and for good reasons! 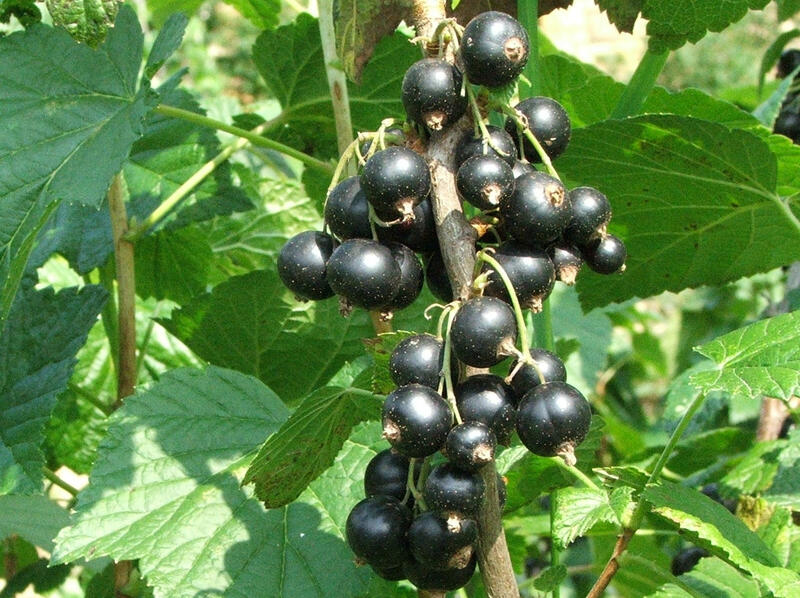 They grow in almost any climates, are filled with vitamin C and contain both soluble and insoluble pectins. 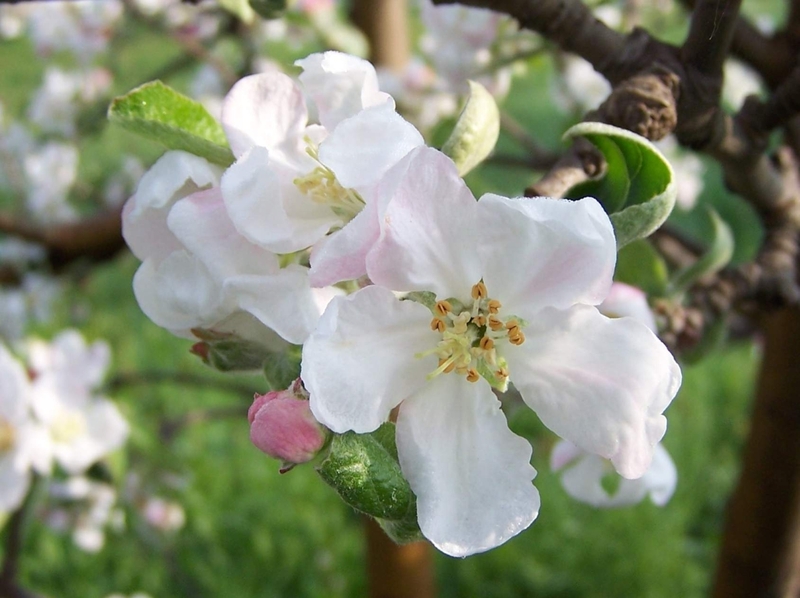 To treat the diarrhea, cut organic apples in cubes,stew with little water, until completely soft. You can fasten the process by grating the apples, which allows you to use the skin as well. Enjoy with cinnamon, cardamom and nutmeg! 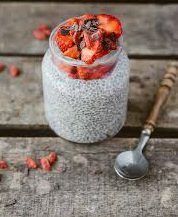 Chia seeds have many wonderful uses and are extremely rich in nutrients such as omega acids and rich source of minerals calcium, zinc, copper, potassium and phosphorus, all extremely important for healthy body! My favorite way to stop diarrhea, is to soak chia seeds in almond milk, mix with cinnamon and raw honey! Top with some sae buckthorn berries for double effect! HOT TIP! My number one recommendation to help with all the digestive problems is sea buckthorn! Besides from preventing diarrhea, t has fantastic effects on balancing the gastrointestinal track and preventing metabolic disorders. 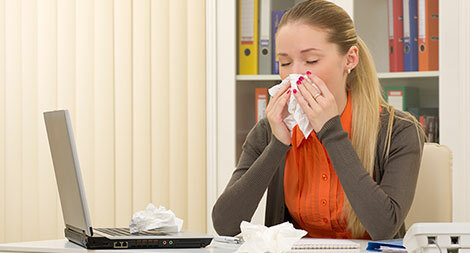 Why do we always get the flu when we are either traveling or on holidays? We tend to be stressed with our daily lives and during the holidays we finally give our bodies a permission to relax. This process often causes a strong immune system response, which overwhelms our bodies and causes symptoms such excessive tiredness, which we mistake for flu. In fact our body is just in need of rest, fresh air and exercise! Be sure to get plenty of them all. 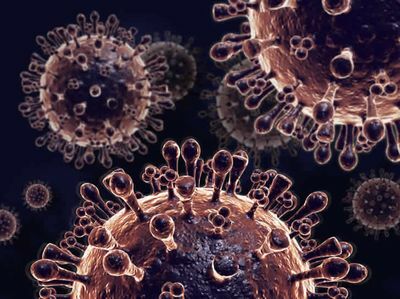 However as lot of people come together, they bring with them the bacteria and viruses they carry in their systems!The common flu is actually a collection of different mutation of the virus, which vary depending on where you caught it. Most of us and battling with runny noses and sore throats, tummy upsets and other small discomforts. It’s not enough so that we feel sick, but never the less, we are carrier and can infect others! However a virus or bacteria our body is able to defeat, either due to our strong immune system or simply because we have grown immunities to them due to long exposure, might cause severe problems to other people. Especially children and old people are at risk of getting the common flu due to their weakened immune responses! We need to take care of their immune systems and strengthen them in advance for the holiday season! Garlic is one of the most effective immune system boosters nature has to offer! 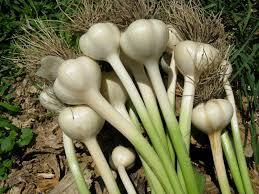 It’s rich in allicin, which is released when you cut, chop or crush the cloves. It’s also both anti-fungal and antibacterials. Garlic stimulates the activity of immune system cells that destroy cold and flu viruses. It’s available in different forms, such as powder, tablets, dried and fresh. However for the maximum benefits, use fresh garlic gloves! You can mix them in cooking or enjoy raw, garlic breath can be fought with a slice of fresh apple! 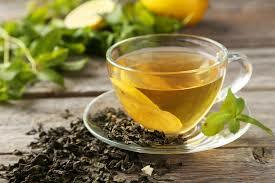 As a flu remedy, green tea fantastic as it lowers the infections in the airways, by killing the bacteria. It is also shown to inhibit viruses like the influenza virus, therefore potentially lowering your risk of flu infections. Lemon is often used in a lot of home remedies, mostly due to it’s high C vitamin content, but also for it’s high mineral content, which helps to treats plenty of deficiencies caused by a monotone diets. Citric acid in itself is great for clearing out infections, especially in the urine ways. It does it by increasing the acidity of the bacterial environment, making it difficult for the microbes to survive and, more importantly, to reproduce. While both can be bought is variety of powders and juices, using organic fresh fruit is always your best option for remedies. 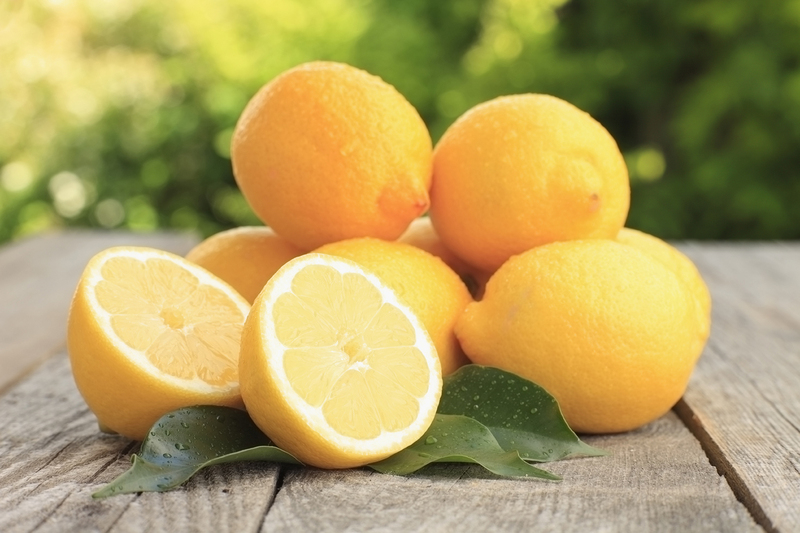 Mix fresh lemon in water, let stand over night and drink first thing in the morning. Add lemon slices to tea! There are plenty of others out there, all with their unique properties. I have chosen my favorites based on the other affects they have on my body and due to their taste agreeing with my pallet! I could write all day about the benefits of cold pressed honey on the immune system and on our general well being, but I will just make a small summary here for my favorite immune booster! 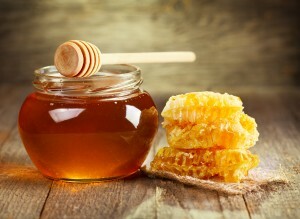 I eat a spoonful of raw unprocessed honey mornings and evenings on every single day that I am not fasting. It it keeping me safe from the common flu, even with cancer taking it’s toll on my body! You might be wondering why I am mentioning Yoga in an article about Ayurvedic remedies. I do it simply because a regular Yoga routine also helps to balance all the elements of our being, helping to both avoid and treat illnesses. If you are experiencing any symptoms for illness, there are several effective asanas, which can bring effective and immediate relieve, even of the road! Here are 3 of my favorite poses for the times I feel like I might get sick. Opens up the chest and reliefs congestion of the airways. Opens up the chest, abdomen, and groin. It also relaxes the nervous system. This pose quiets the internal organs and relaxes the mind. HOT TIP! Here is my favorite flue medicine! I make fresh ginger tea by boiling 1 medium ginger root with water and reducing it, until a very strong extract is left! I put it in a thermos to keep it hot! I mix in 2 spoonfuls of raw unprocessed honey into every cup I drink! Also take a look at my infused water recipes for Lime, Ginger And Mint Cold Infused Water. It’s delicious and great for immune system and helps you recover faster. Are you going somewhere where you will be exposed to large quantities of pollen? Read my article about the best home remedies for pollen allergy. I hope you have enjoyed my home remedies for the holidays and it will help to keep you safe and healthy while you celebrate with your loved ones! Please practice common sense and take care of good hygiene when traveling! Prepare properly as most common health problems on the road are caused by not refrigerating the food and in some parts of the world consuming unclean water, both causing serious health problems. If you have any questions, please let me know and I will gladly respond. I’d also love to hear your opinions and your own remedies. Leave me a comment below. Please also take a look about my article about using Ayurveda to help your with pain management. I would also appreciate it greatly if you give me a follow on my new YouTube channel and rate this article above. Great advice. I always get sick when I travel, I think it’s all the bacteria and viruses that circulate in the airco of the air planes and trains. Thank you for reminding me that ayurveda is not just pills, but also great home remedies made from herbs and minerals! Yes, ayurveda is a tradition for longer than people knew how to produce and package pills 🙂 The ayurvedic home remedies are very effective and cheap. Hello there! I really like this article. These are easy and safe remedies that everyone can use home without worries about big side effects. I like this approach rather than you trying to sell some expensive medications. Thank you for giving your knowledge for free. Hi Roland, thank you for your compliments. There is a place and time for ayurvedic medications, but at the same time, ayurvedic teachings are full of easy to use home remedies and that information should be available for everyone! I enjoyed your home remedies. I ended up this page via your information about peppermint oil, which I was hoping would help with my IBS, but ended up getting so much more information that I’m a little overwhelmed. Thank you for sharing your knowledge about herbs for free, not many people do so nowadays. Diabetes is a disease in which your blood glucose, or blood sugar, levels are too high. Ayurvedic medicines for diabetes is best way to cure diabetes. 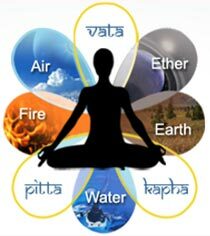 Ayurveda has been practiced in India for thousands of years. Ayurvedic Products are effective and without any side effects. thank you for your comment. Please note that my pages automatically remove unauthorized links to other pages. Please contact me if you are interested in co-operation. I can totally relate to this article. It is so true that we tend to eat more during the festive seasons, as our appetite just increases when we are with family and friends. Getting plenty of exercise is probably the best long term prevention for all of the digestive problems you have mentioned. Drinking plenty of water is also great too, since water is very accessible anyway. I’m happy that you found my article interesting It’s true that on the long term drinking plenty of water and exercising will help your digestion, but it won’t cure the acute problem, hence my tips about herbs you can use to cure indigestion caused by enjoying too much food and drinks. This is a very enjoyable and informative article, i agree with you that we all eat to much on the holidays. 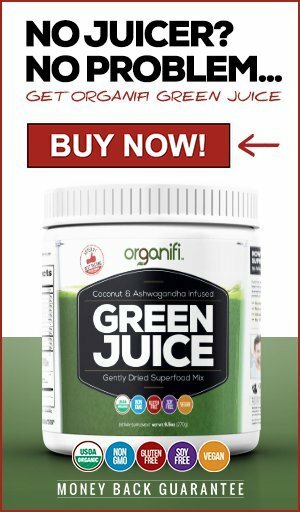 I really enjoyed your review on constipation, it was very good, I never new about olive oil for constipation, i suffer with it so i will try this remedie. I agree with you about garlic and the benifits of honey. 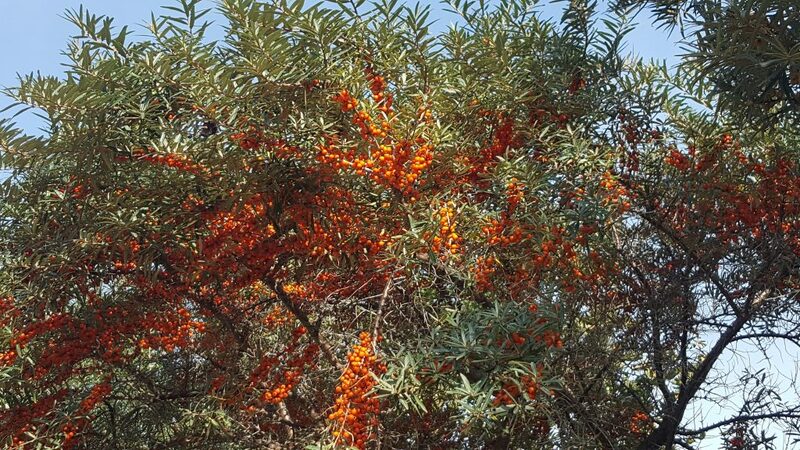 In your article you mention Sea Buckthorn, i have never heard of this before, can you tell me if this can be used if you have colitis? And also. Where would you get this product from? Hi Gareth, I am happy you enjoyed my article. Yes, people tend to eat too much during the holidays as we associate the celebrations with a time of plenty! There are several remedies for constipation, as I explain in my article, but olive oil is an easy trick. Just make sure it’s extra virgin. Garlic and honey are bot really important aids for our immune-system. Sea Buckthorn is native to the coastal areas of Europe and Asia. You can buy the extract, juice, capsules and seed essential oil online, Amazon has a great selection. The oil can be used in a gentle enema, together with sterile saline water to treat colitis! Great, thnx for keeping us safe and healthy during Xmas. My kids always get sick when we travel home to India, this is full of amazing tips. Packing a home pharmacy based on this for the next month. Wishing you great holidays. Hi Ganesh 🙂 Nice to hear from you. Traveling from one continent to an other can be very stressing. Long haul flights where the air-conditioning is spreading all the viruses and bacteria around, different flora and fauna in cooking (even if you eat mainly Indian food at home) and meeting with a lot of people can be very straining on the immune system, especially with the kids! I wish you happy holidays at home! I love what you’re sharing here, especially the things that may be more preventative, like yoga. I find that the more time and energy I invest in things like yoga, meditation and other exercise, the less likely I am to fall back into habits that don’t serve me well, like eating lower-quality foods that cause the kinds of symptoms you’ve mentioned. When I get away from those good habits even for a few days, I feel it. I’m happy to say I’m enjoying some lemon water as I write! And I appreciate your other suggestions. Keep up the great work! Hi Kevin, happy you like my article. Yes, somethings are also preventative, as often people suffering from depression have times when they are slipping deeper into the darkness and this is a perfect moment to do things such as get fresh air and pamper oneself. Yoga and meditation are also both great long term strategies. Hi Yvonne, happy you and me share a herb we love 🙂 I use mint all the time, as essential oil, in tees and for medicine. Onions are great, I also have my special onion soup recipe that includes garlic. I have seen your site and love your recipes. I realize that Chinese cooking as well as Ayurveda believe that food can be used for staying healthy and balanced. This post is also great! It clearly shows you deep knowledge in Ayurveda and other natural healing methods. Some of this is new to me as well, never thought to use chalk! Do you know a lot about different natural tea blends too? Your flu prevention tea sounds lush! Wow, I literally use and/or consume all of these except the chalk…will have to dig a bit and look into it as it’s never been part of my healing arts toolkit. I love learning about health, wellness, and remedies, so I deeply appreciate your site, your knowledge, and your ability to put all of the info together into one site! Thank you Joy! Nice to hear you also use herbs for healing. Chalk is one of favourites, I always have it at hand, very effective for many uses! Hi Hanna! Yet an other really awesome article from you. Your knowledge about herbs and other natural/alternative treatments is unbeatable. You should drop your IT work and start a full time healing practise! I love that special tea of yours, it always cures my cold, I want you to teach me how you make it next time when you are back in the vicinity. Hi Diana! Thank you taking the time to read my article 🙂 You are right, I have been thinking this for a long time,but the timing is just never right! I will teach you nay of my healing secrets any time, you know that! Wow! This is such an inspiring post and makes me want to eat better! I really would like to implement having more mint tea and green tea. Would you recommend them to be a morning or evening beverage? Hi Kate, thanks for dropping by to leave a comment 🙂 Healthy eating is a key for wellbeing! I like to drive green tea firs thing in the morning as it has a nice ‘Pick me up’ effect! Mint tea is good after meals and upto couple of hours before bed. I wouldn’t drink either late in the evening, but rather opt for something calming as chamomile, linden or lemon balm. Wonderful post! I love the tip on making your own heart burn remedy with mint drops and powdered chalk and would love to try it. Where can I buy powdered chalk? And also, for the mint drops, are these the same drops you would find in the essential oils section? Thank you for taking the time on commenting on my post! Yes, the mint drops are the essential oil, just make sure they have not added anything into it, sometimes they sadly do. Thank you for this list of home remedies. I’m wondering about the charcoal. Can I just eat s little bit of burnt wood if I’m sure it is not toxic. Is there a particular type of wood that is best for edible charcoal. I was able to buy charcoal tablets on Asia but I am having trouble finding the really simple ones back home. Great and informative article on ayurvedic remedies for the holidays! These safe and natural remedies really seem to work gently with your body to ensure good healing. As a student studying homeopathy, I’ve heard of ayurveda before but I never understood how exactly to works. Could you briefly explain? As a future homeopath it would be great to have an understanding of this wonderful modality. Great ideas! I never thought of yoga as helping prevent or cure illness, but it makes sense. 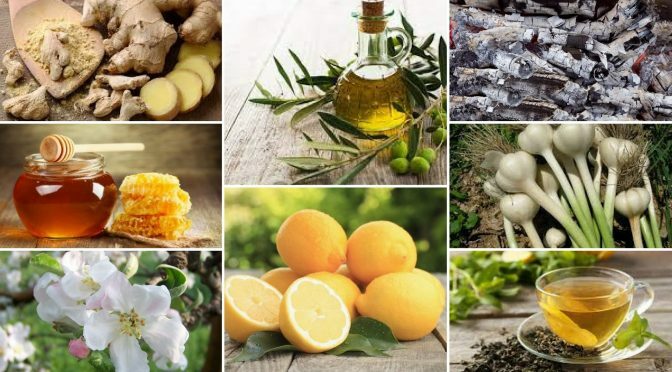 I have used many of the remedies you mentioned and they all do help. This post is just in time for the flu season! Hi Salina, thank you for your comment 🙂 Indeed the flu season is upon us and the same remedies can of course be used for that! Yoga helps to a lot of health problem and specially plays an important part in boosting the immune system. I think that you have covered everything! Ginger, lemon, mint, water are all ingredients for great remedies to stay healthy! I love to drink ginger tea with lemon slices and honey especially the cold November nights here in Greece! I hope all of us have great holidays and be prepared and stay healthy using your remedies! Yes, indeed, a lot of traditional medicine from all over the world uses these magic ingredients and with a reason! That tea sounds lovely, save me some for when I come to Greece! Hi Art, it’s very frustrating when you finally want to have a good time with your family then problems like heartburn, bloating and flu try to ruin your fun time! This article is amazing and very helpful, now we can have a fun time with our families without discomfort if we follow your tips! Thanks for mentioning that mint is good for having a fresh breath too, I was looking for that too somewhere else! It’s unfortunately but true, many people get sick during the holidays and it ruins the festive mood. I honestly want to help out and hope people will take my advice for healthier holiday season this year! For the best breath, you can chew on mint leave, cumin seeds are also very effective and tasty! Thank you! 🙂 Keep up the great work! Nice website, realy helpful instructions for keeping the holiday health problems at bay. I always get the flue when I go back home. Keep up the good work. WOW, amazing blog post from our Yoga loving CTO! It’s great to see the other side of you. We all love and appreciate your natural approach for your illness 🙂 Great remedies for us all.